Katika kazi yangu ya kufundisha kuimba, nimekutana na waimbaji wengi hapa bongo ambao hapo awali, kabla ya kukutana na mimi, walikua wana desturi ya kujifunza kuimba kwa kupiga makelele. Nimepata ripoti ya kua kuna baadhi ya kwaya ambazo hushauri wanakwaya wao kupiga kelele hadi siku ifuatayo wanakuta sauti zimakauka. Nimepata ripoti kuhusiana na vijana wa bongo flava wanavokwenda kwenye ufukwe wa bahari kufanya mazoezi ya kuimba kwa kupiga makelele. Sii makosa yao. Kwani asiejue atafanya lolote lile analoambiwa kwa kuamini kwamba hicho kitendo kitamsaidia kua muimbaji mzuri zaidi. Hivyo ndivo jinsi wanaadamu tulivo. Kwa mantik hiyo basi, ningependa kutoa ushauri wangu hapa, kwamba huo mwenendo potovu husababisha uharibifu wa sauti, na usipoangalia, unaweza ukawacha kuimba kabisa kwasababu kunakiwango cha uharibifu ambacho hakiwezi kurekebishika. Kwa maana ukisha fikia kiwango hicho, sahau habari za kuimba. Hutakua na sauti tena. Ni hivi: Sauti, ili kuendana na muziki wenye mpangilio maalum kupitia kinanda, guitar na kadhalika, inatakiwa kuweza kupanda na kushuka kirahisi na bila kelele za kuumiza koo. Na vilevile, hupaswa kua na melodi yakuvutia ambayo inaendana na muziki huo. Sasa basi, ili kuweza kufika katika levo hiyo inabidi ujifunze kuimba kufuatana na funguo (ama key) za muziki kupitia, kwanza kabisa, chombo asilia cha muziki kijulikanacho kama kinanda. Kindanda kina panga sauti yako katika njia tofauti kupitia mazoezi maalum kwa ajili hiyo, kama vile arpeggios, octaves, chromatic scales, descending scales na kadhalika. Hiyo ndio misingi ya kuimba ambayo nimepangilia katika mazoezi ninayo toa, na vile vile kwenye CD yangu Jifunze Kuimba na Joett. Kama ungependa nikupe assessment ya sauti yako, tafadhali wasiliana na mimi. Assessment za nusu saa hufanyika katika studio yangu siku za Jumamosi, na ni bure kabisa. Ili kuanza kupata mafunzo ya bure kupitia mtandao huu, soma Jifunze Kuimba: Umuhimu wa Kuelewa Madhumuni Ya Mazoezi, na pia utawaze ku-download mazoezi yangu maalum ya sauti. Mafunzo ya kuimba ni kitu muhimu sana katika kujiendeleza kama muimbaji, kwasababu huraisisha uimbaji wako kwa kuwezesha sauti yako kuendana na funguo za kinanda katika levo zote. Lakini pamoja na hayo, pumzi pia ni swala nyeti ambalo ningepende kugusia hapa. Pumzi hadimu ni sauti hafifu, kwenye upande wa kuimba. Hili ni tatizo linalowakabili watu wengi. Jinsi ya kuepukana na upungufu wa pumzi ni kujizoesha kupumua kabla ya kila note. Yaani kabla ya kila kipande cha shairi. Hakuna wimbo ulioatungwa moja kwa moja bila hata sehemu ya kupumua...sidhani. Kwahiyo, kila pahala penye sehemu ya kupumua, tumia hiyo fursa kupumua. Kupumua kuimba ni tofauti na pumzi la kuzungumza. Ili kua napumzi ya kutosha kuimba unahitaji kujaza pumzi kwa haraka zaidi. Jinsi yake ni kama nilivoelekeza kwenye zoezi la kupumua kwenye CD yangu Jifunze Kuimba na Joett. Tanua mdomo taratibu huku ukivuta pumzi kupitia mdomoni mwako tu...kama unavyopiga miayo, na kujaza pumzi hilo kwenye maeneo ya tumbo lako. Zingatia hilo, na ufanye hivyo (kwa haraka) kila kabla ya note. Whilst training a student who has struggled with voice placement issues for quite a while, I decided to write an article solely based on how I discovered the root of the problem and how I solved it. So yes, this, as it were, is a case study piece that may trigger a few alarm bells should you be experiencing a similar problem. Do you feel a strain in your voice? Are you singing unnecessarily high and reaching the limits of your range and feeling desperately uncomfortable? Are you experiencing a sort of whiny, screechy tone coming from your voice and is there a nasal tone added to the list of vocal malfunction? Let’s correct your placement! A strained whiny voice when singing just doesn’t sound right. It can be irritating, and I’m sure—if you listen to yourself well, you’ll realize something is amiss. People carry such baggage around them for years and I’ll tell you something, some habits are unbelievably difficult to ditch. You have to want to do this. I’ve seen so many people hanging on to their old habits. To become a better singer, you have to make a decision to change. I’ll show you a quick solution to realigning your vocal placement. Go back to the voice you speak in. That’s the one area you could never go wrong. I’ve never heard anybody run into any of the above problems when they speak. So let’s get back to basics. Speak. Speak the line you want to sing, first. And then try singing that line in that same voice. If you’ve managed to wing it correctly thus far, your next step is to take it up a few octaves whilst ensuring that your placement, as in the way you’re well placed when you speak (no strain no pan), is right. If you do this correctly, you’ll be surprised how farther up the scale you can go with the same good placement and form. If you lose your balance, go back and start again. Time and time again I’ve corrected, quite easily, students who couldn’t help but sing way above key, by simply asking them to stop and speak out the note instead. And then I would say… “Now, on that note, here comes the next key.” And miraculously, this little maneuver manages to realign their vocals in key. Don’t ask me why people shoot up to high octaves like that, it’s so endemic, one has to make a concerted effort (even under supervision) to correct this. These are one of the many reasons one's placement would go wonky. That’s when the strained vocals and mangled tones become commonplace with you and leave you wondering WHY you’re not singing properly, comfortably, and enjoying the experience. Singing is meant to be fun and enjoyable. Not some arduous task that puts you in a position of wanting medical attention. Singing properly can’t be that difficult to achieve when you go back to basics. So in future, whenever you’re stuck, please bookmark this page and return to this article for guidance. My comeback single I Could Never Live (Without Your Love) began life as a training program I gave my students back in 2010. 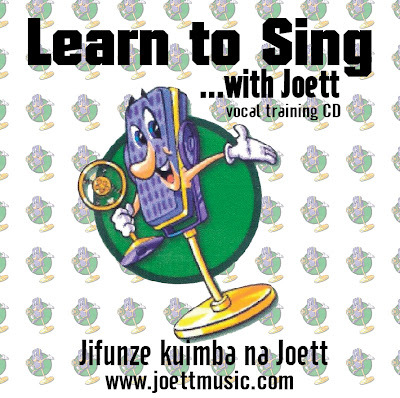 One of my students said to me “this is such a beautiful song, why don’t you finish it off and record it?” Well, I took their advice and the next thing you know I was not only recording the single, I was also recording an entire training program around the song, the result of which is my Learn to Sing with Joett vocal training program on CD. What makes this program particularly unique AND useful, is that, unlike many vocal training programs on the market today, it is based on a song and requires you to do the scales within both a vowels and lyrical setting. One of the greatest challenges with teaching voice is that, the exercises prepare the voice, but when it comes to applying your newly acquired skills to singing a song, I find, students have difficulty in making that transition. This program is designed to bridge that gap. It kills two birds with one stone. 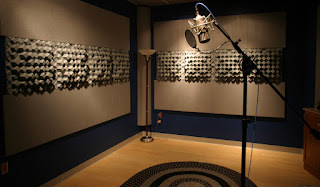 If anything, working as a vocal coach over the years has helped me understand the human voice better. Whenever I’m dealing with voice issues that my students are going through and trying to solve their problems—as everybody is different—I almost always pick up yet another solution to seemingly insurmountable difficulties and challenges singing throws at you. 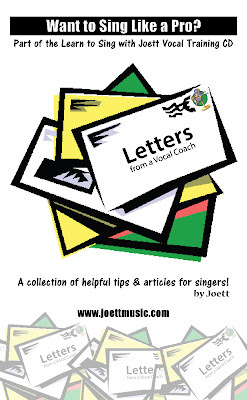 Letters from a Vocal Coach is intended to serve as a reference point you can return to again and again should you run into any difficulties with your singing. Contained herein is a fountain of articles and knowledge that you can draw inspiration and guidance from. It’s very easy to regress in this business, you’ll be amazed. In an easy-to-understand fashion, I have compiled a collection of some of my best articles on singing. I’d like you to refer to these every now and again to help you along with your quest to becoming a better singer. Voice training alone doesn’t quite cut it. I’m almost certain you will fall back to your old ways at some point—at times, it happens to the best of us—so let these articles serve as a constant reminder. Call it your singers tip sheet if you like, but use these articles to keep you on the straight and narrow. You’ll be glad you did. Look out for release date of this voice training package, which will also include my CD single I Could Never Live (Without Your Love)... complete with lyrics and backing tracks to sing to.